Los Cabos Agent offers you a new type of home-buying experience - no hype, no fluff, just old-fashioned honest service. Are you looking to work with a real-estate professional you can trust? Nick Fong, your Los Cabos Real Estate Broker and the founder of Los Cabos Agent, does not take his motto lightly - "Someone You Can Trust." And, he puts those words into practice every single day. Therefore, read more to see why he's been featured twice on HGTV's Beachfront Bargain Hunt. Why purchase Los Cabos real estate, you ask? What makes Los Cabos so special? Some say it’s the perfect weather, warm clear waters and breathtaking beaches. Yet, others argue that it's the abundance of outdoor activities that are the biggest draw. Also, many people point out that it's the family-friendly environment that keeps them coming back, year after year. El Arco de Cabo San Lucas: The arch that marks Lands End, Los Cabos is your destination of Mexican destinations. Right now is such an exciting time to purchase real estate in Los Cabos. To start with, real-estate prices are on the rise. 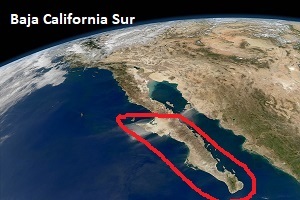 Also, the communities and resorts in Los Cabos are growing each year. That means, Los Cabos is quickly becoming the best place to buy real estate in Mexico. What does The New York Times report? “The Los Cabos housing market…has been steadily rebounding as new construction continues and demand for vacation homes grows… Sales volume increased by about 30 percent in 2016 over the previous year… Most buyers are from the United States and Canada” – New York Times. Many news outlets around the world also reflect that the Los Cabos real estate market is heating up. Therefore, this really is an exciting time to purchase Los Cabos real estate. Are you a first-time buyer of real estate in Mexico? If so, please click Cabo San Lucas Real Estate Buyer’s Guide to uncover just how easy and safe it really is to purchase Los Cabos real estate from Los Cabos Agent. Many Americans, Canadians, and people from other countries decide to make Los Cabos, Mexico, their home or vacation home. Also, many investors choose Los Cabos to purchase real estate because they know what a popular destination Los Cabos really is. Therefore, read more to uncover how to find your perfect Los Cabos real estate option. Los Cabos Agent knows the ins and outs of the Mexican bureaucratic red tape and tax laws. Therefore, please allow your Los Cabos agent to lay everything out for you - they make it easy. Your Los Cabos agent will help you navigate the entire process! For over 11 years now, Los Cabos Agent has been helping clients find the best Cabo villas and condos for their lifestyle and budget. And, they are highly-skilled negotiators who can get you the absolute best price, whether you wish to buy a property or quickly sell your Los Cabos real estate. virtual-tour experience available. And, you may start your tour here. If a real-estate property catches your eye, please don’t hesitate to request more information. These days, properties are snatched up very quickly. Also, please let them know if you have questions. Just click CONTACT to inquire. Or, you may call them directly at 619-831-2000. They’re always happy to answer any of your questions. Los Cabos Agent looks forward to the opportunity to help you buy or sell your next home in Los Cabos.